Lolabuland » Love my classes!!! I know I said that before 🙂 - but I REALLY love my on line classes. First edition of Beyond Foundations was extra fun as I got to see so many "old" students again - and it was sooo cool to see how well they're doing!!! Really cool to see dogs I know from puppyhood, even if only through videos, grow into such amazing agility dogs - and seeing their handlers having so much fun with them!!! So I just have to share some joy that you can see in these graduation videos of Beyond Foundations class. Please make sure to check them all on Graduation page and vote for your favorites to help them win free class and videos! And, just a reminder that you can still JOIN new round of Foundations, starting next week!!! Next Beyond Foundations class starts beginning of February. Well I would love to say it is one of your best classes yet! But I really just love them all 😉 It really was a joy to watch my classmates and now seeing their videos! Damn some people have serious movie making skills 😮 They are just awesome. 🙂 I know, really cool videos -- I love watching comparisons! Without you and your great advices Cube and I wouldn't be where we are right now! It's sooo much fun to run agility and to learn together. And because everything is so clear and easy it feels sometimes like we are running together for years and not just for 5 months 🙂 So BIG THANK you again! I cannot WAIT until agility foundations next week with my new puppy! 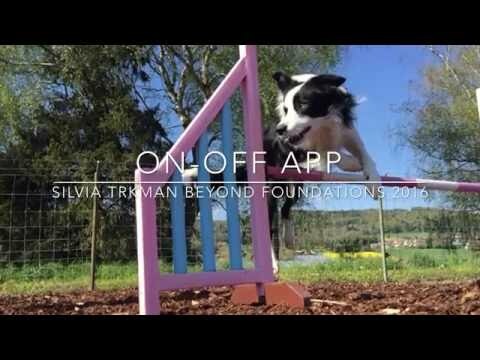 I have still been working through beyond foundations exercises with Tovah and having a very good time but not enough time to post my videos…but will continue this. LOVE your online classes Silvia. I have to tell you that the host of another set of online classes recently told me that you hd set the “gold standard” for online courses and thus the bar for which others should strive to attain. I know I will be repeating the class with my puppy Koakh at least a few times…he is the hardest dog I have ever trained and we’ll be working lots on foundations before going anywhere else. Cannot wait to start the journey with you and other classmates!! Thanks -- I try to do my best! Some dogs can be a challenge yes, but I’m sure Koakh will become a fabulous agility dog!